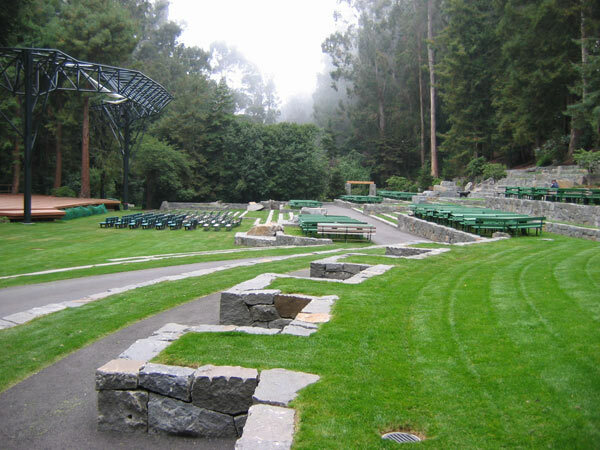 Dedicated in 1932 on fourteen acres of land given by Rosalie M. Stern in honor of her husband Sigmund, the outdoor concert venue is in the Sunset District in southwest San Francisco. 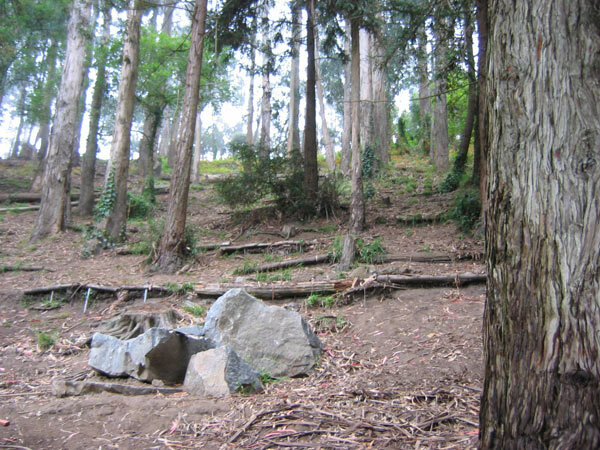 Soon after Stern’s donation, the city purchased fifty additional acres to the west which became Pine Lake Park. 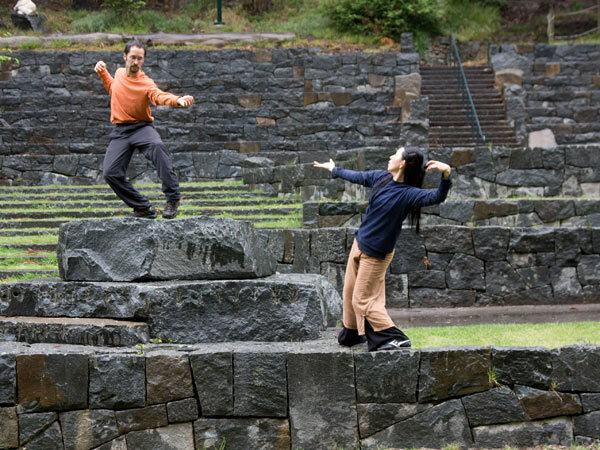 The combined 64-acre rectilinear space is situated in a narrow natural basin, with the park on the west side and amphitheater to the east on Stern’s donated land, where the natural acoustics are well suited to the purpose. 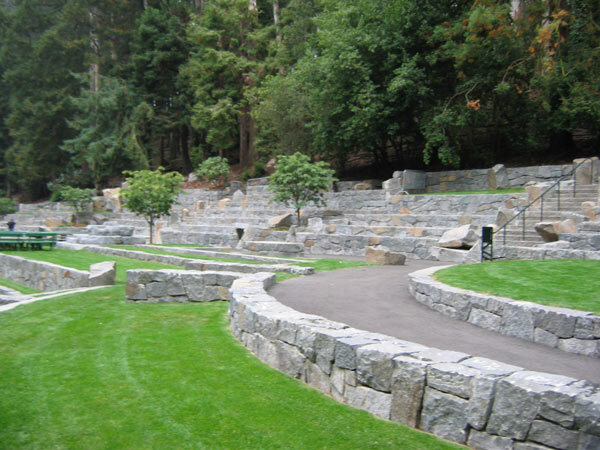 The amphitheater was initially built by the Works Progress Administration as a sloped meadow with low stone walls. 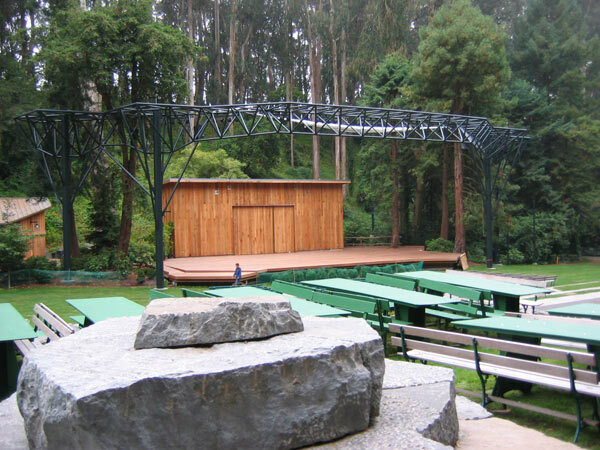 By 1938, the free music events which Stern intended had begun, and have since become a summer tradition. 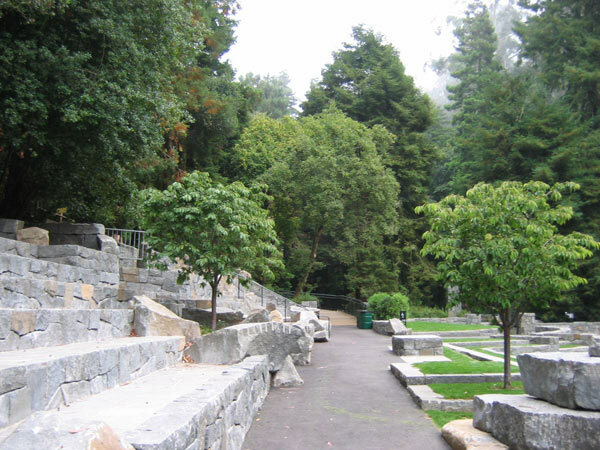 In decline until the early 2000s, both Pine Lane Park and Stern Grove are undergoing improvements based on a ten-year plan. 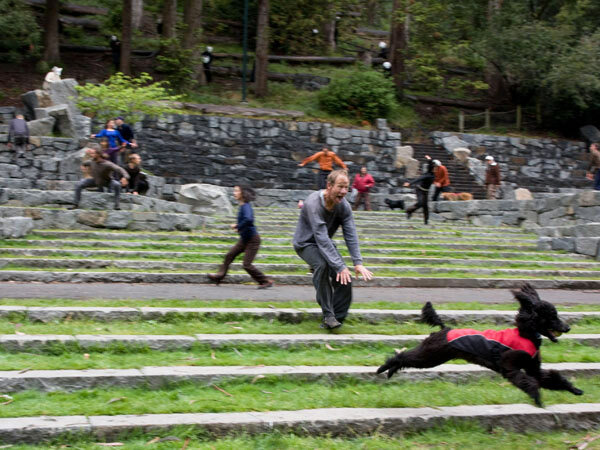 Between 1999 and 2005 landscape architect Lawrence Halprin redesigned the amphitheater into a series of low grass terraces with boulders towards the front and stepped granite seat walls that operate as benches further up the hill. 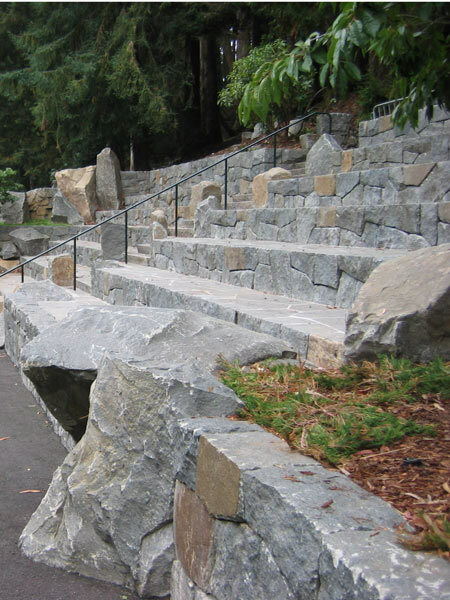 The benches and terraces provide seating for more than 4,000 people and mitigate the slippery slope which had severely eroded in the WPA design. 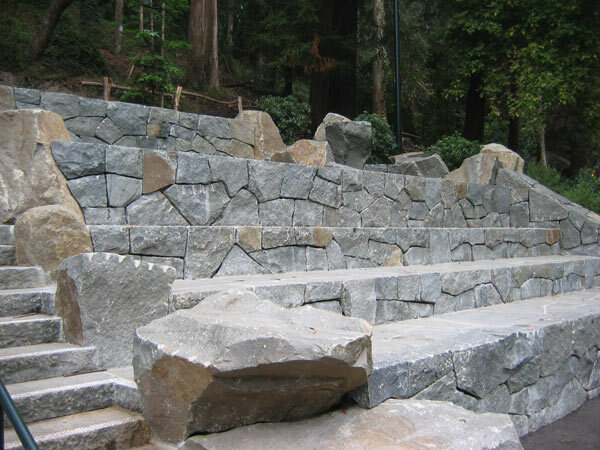 Inspired by Greek amphitheaters, the space is completely surrounded by the dense woodland of the park, creating a sense of enclosure and a backdrop for the venue’s diverse performances.